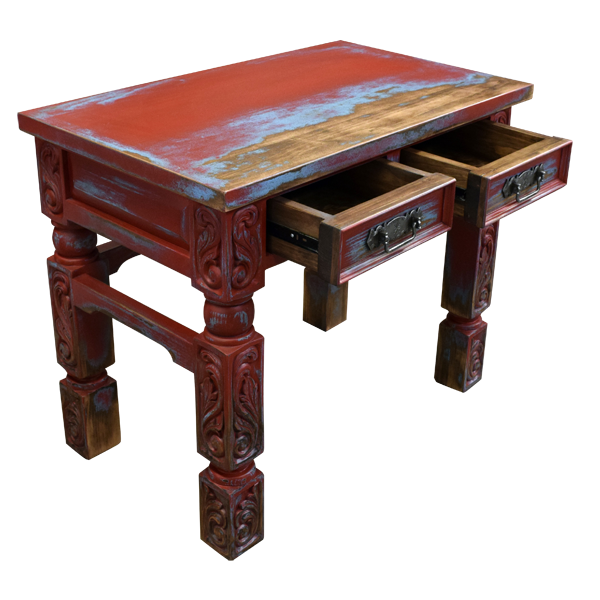 With its antique, red finish with turquoise colored details, this handcrafted, Western writing table will add color and style to your home décor. 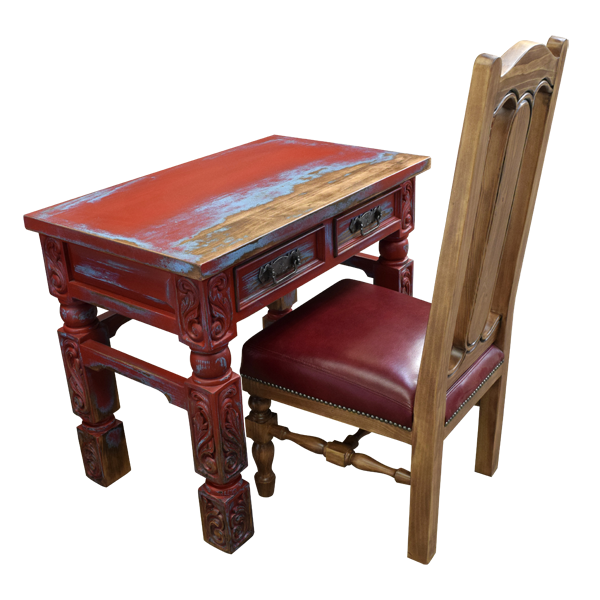 The desk has an open, rectangular top with a classic, straight top rim. 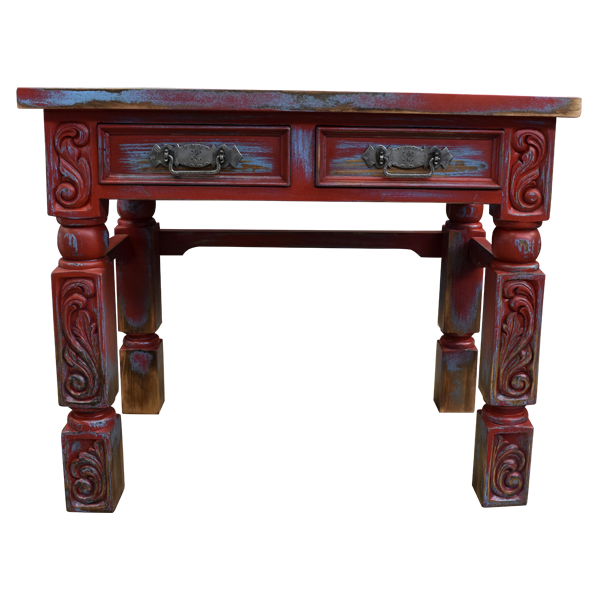 Below the top rim are two, small, rectangular drawers, and each drawer has a hand forged, iron handle in its center. Each lateral side of the desk has a rectangular cut panel. 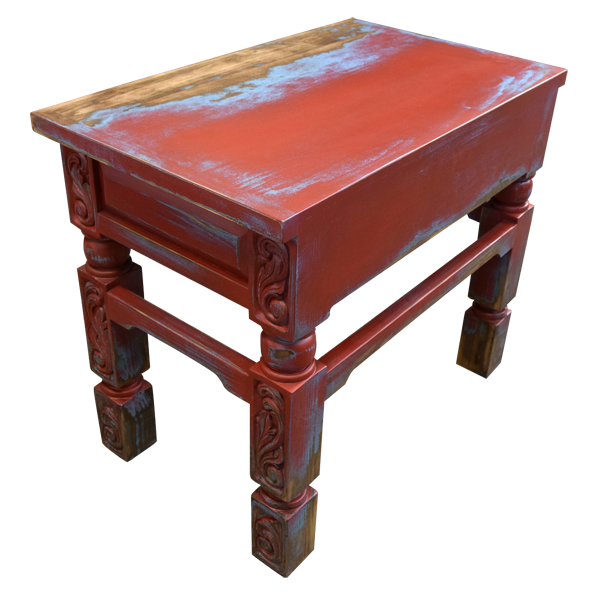 The desk is supported by square cut, straight, solid wood legs, with intermittent, hand turned, round details. 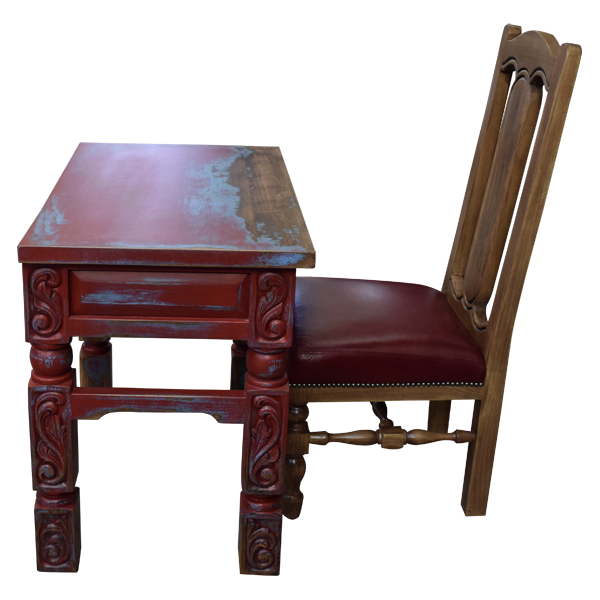 The legs are embellished with hand carved, scroll details, and the legs are connected by sturdy crossbars. Finished with a lovely light stain, the desk is made with the best, sustainable, solid wood available. It is 100% customizable.